Map denoting the village of Pleasant Hill where the battle was fought on April 9, 1864. 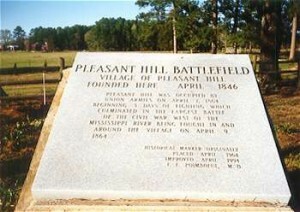 Pleasant Hill was the last major battle of the Red River campaign of 1864. Persistent if not talented, Union Major General Nathaniel P. Banks still held onto his scheme to take Shreveport, Louisiana, despite his loss to Confederate Major General Richard Taylor at Mansfield on 8 April. By rejoining his Red River Expeditionary Force with Admiral David D. Porter’s gunboat fleet and Brigadier General Thomas Kilby Smith’s detachment of XVII Corps at the Red River, he believed he could salvage his expedition. Under cover of darkness during the night of 8-9 April, Banks evacuated his rear guard positions for Pleasant Hill, some fourteen miles to his rear. To mask his withdrawal, two divisions under Brigadier Generals W.H. Emory and J.A. Mower remained behind. Although significantly outnumbered, the aggressive Taylor pressed his pursuit in expectation of destroying Banks’s forces. At dawn Taylor, accompanying Major General Thomas Green’s cavalry, led two brigades of Brigadier General Thomas J. Churchill’s division under Mosby M. Parsons and James C. Tappan in pursuit of the Federals’ rear guard. Having suffered heavy losses the day before at Mansfield, Major General John G. Walker’s and Brigadier General Camille de Polignac’s Divisions brought up the Confederate rear. Arriving at Pleasant Hill’s outskirts at about 9 A.M., Taylor was somewhat surprised to find the Federals forming a line of battle. As Taylor waited for Churchill’s Division to come up, reconnaissance forays by Brigadier General Hamilton P. Bee’s cavalry confirmed that Banks’s troops were indeed occupying formidable defensive positions. Attackers would be forced to cross an open field in the face of fire from skirmishers concealed in a ravine that, in turn, fronted a low plateau on which Banks had placed his artillery and main infantry positions. Still, Taylor remained firmly convinced that he could exploit the momentum from the morale advantage he had gained from his success at Mansfield. Taylor’s troops, however, were exhausted. Polignac and Walker’s men had fought a pitched battle the previous day and Churchill’s had marched forty-five miles in thirty-six hours. Reluctantly, Taylor was forced to allow his troops, now reinforced to some 13,500 men, two hours’ rest before opening his attack. At 3 P.M., disregarding his opponent’s superior position and numbers, Taylor set his attack in motion. Pinning his strategy on Churchill’s relatively fresh troops, he ordered his two divisions southward in a flanking maneuver. Within an hour and a half, Churchill’s force, led by Tappan and Parsons, stood in line of battle across the Sabine Road. Taylor’s plan called for Churchill’s troops to launch a decisive attack on the Union southern flank, rolling it upon itself. As the enemy line collapsed, Walker was then to throw his division at Banks’s center while Bee’s Texas Cavalry was to exploit any breakthrough with a mounted saber attack. Polignac’s survivors, who had borne the worst of the fighting at Mansfield, were to rest as reserves on the Confederate far left. Map from the book “History of Iowa” showing the positions of Iowa regiments during the Battle of Pleasant Hill. Confederate attack opened at 4:30 P.M. as Taylor’s artillery commander, Major Joseph Brent, ordered his gunners to pull their lanyards and the infantry stepped off into a hail of Union fire. Parsons and Tappan achieved initial success on the Confederate right as they overwhelmed the brigade of Colonel Lewis Benedict who was killed in the fighting. Taylor saw less success on his left as Union troops repulsed savage assaults by Walker’s infantry and Bee’s ill-fated cavalry charge. After over an hour of desperate and costly fighting, Churchill’s command under Parsons and Tappan was making headway on the Confederate right but the Confederate assaults on the Union center had made little progress. As Walker’s brigade commanders struggled to maintain their momentum, Taylor ordered up Polignac’s Division. Polignac formed his line between General Thomas Green’s now dismounted cavalry under Brigadier General James Major and Walker’s left brigade under Colonel Horace Randal. Meeting Polignac’s, Walker’s and Green’s combined onslaught, Colonel William T. Shaw’s 2nd Brigade of Brigadier General A.J. Smith’s XVI Corps 3rd Division, which had broken every assault Taylor had thrown against them, finally was exhausted and grudgingly gave way in the center. At the same time, the Federal left collapsed under pressure from Churchill’s two brigades. Churchill’s advantage, however, was short-lived. Just as he sensed victory, a determined counterattack by veteran regiments of A.J. Smith’s XVI Corps emerged from the woods to slam into Parson’s right flank. As Parson’s troops gave way, the momentum shifted to the Federals as Mower led the Union center forward. The Federal counterattack crushed Taylor’s critical flanking movement and with it hopes of adding a second victory to Mansfield. Although Taylor continued to press the Union center, fatigue, disorganization and the approaching nightfall soon dictated the battle’s end. Despite having won a tactical victory at Pleasant Hill, a demoralized Banks withdrew under cover of night to Grand Ecore and eventually on to Alexandria. Taylor, although disappointed in not having destroyed Banks, contented himself with having finally driven the Federals from western Louisiana. Both sides had suffered heavily during the two days’ fighting. 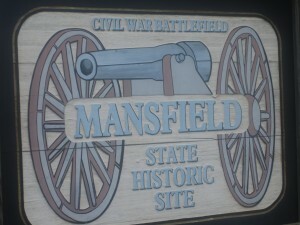 Federal records added 152 killed, 859 wounded and 495 captured at Pleasant Hill to the losses of the previous day at Mansfield. Taylor estimated his total losses at 2,200. Also known as the battle of Sabine Crossroads, this clash was the decisive battle in northwestern Louisiana that effectively halted the Union’s Red River campaign of 1864. In early 1864, Federal commanders devised the invasion of Texas by way of the Red River in Louisiana. Major General Nathaniel Banks assumed command of the Red River Expeditionary Force and by late March had taken the strategic town of Alexandria in central Louisiana. Banks next planned to push up the Red River to Shreveport, headquarters of the Confederate commander of the Trans-Mississippi Department, General Edmund Kirby Smith. There he planned to link up with a force under Major General Frederick Steele for the final drive into Texas. Rather than risk a disastrous defeat, Smith, with fewer than 10,000 available troops under Major General Richard Taylor, ordered Taylor to fall back toward Shreveport. As a reluctant Taylor grudgingly marched his small force northward toward the village of Mansfield, Banks made a fateful decision. Two roads led north to Shreveport. The longer hugged the riverbank, thus offering his troops the protection of the guns of Admiral David D. Porter’s gunboat fleet steaming up the river. Banks, however, eager to reach Shreveport as quickly as possible, chose the more direct overland route. Although the road passed through Mansfield and Pleasant Hill, occupied by Taylor’s main force, Banks evidenced little concern, convinced that the Confederates were unwilling to fight. On 6 April the Federal army abandoned the protection of the river to march through the “howling wilderness” of northwestern Louisiana. Taylor soon decided to ignore Smith’s orders and confront Banks near Mansfield, a small village south of Shreveport. 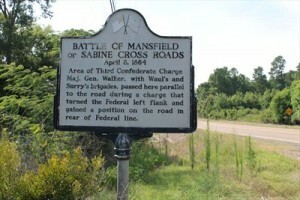 During the early morning hours of 8 April, Taylor formed his 5,300 infantry into a line at Sabine Crossroads, a strategic intersection three miles southeast of Mansfield. Partially concealed in the edge of a pine forest, Brigadier General James T. Major’s dismounted cavalry anchored the left of the line next to Brigadier General Alfred Mouton’s division as Major General John G. Walker’s Texas Division formed on the right. Twelve artillery batteries and 3,000 cavalry brought Taylor’s strength to about 8,800. Ignoring warnings from his cavalry commander, Brigadier General Albert L. Lee, Banks continued to Sabine Crossroads. Although the Federals numbered nearly 18,000, their deployment was dictated by the narrow road, barely wide enough for a single wagon. Lee was particularly concerned over the placement of the supply trains. His own, numbering three hundred wagons, stretched three miles to the rear and blocked both retreat and reinforcements. Still, Lee continued his advance and, pushing back Confederate skirmishers, reached Honeycutt Hill, a low wooded ridge, late in the morning. Supported by two infantry brigades, Lee’s forces numbered some 4,800 men. By noon Union and Confederate troops faced one another across a broad field from positions along opposing tree lines. As more Union troops and artillery arrived, the afternoon began to unfold into a series of probing cavalry actions interspersed by artillery duels. Shortly after 4 p.m. an impatient Taylor finally ordered his men forward. Crossing the field under a “murderous fire of artillery and musketry” Mouton’s and Walker’s Divisions crashed into the Federal positions, which soon crumbled in the ensuing hand-to-hand fighting. Mouton was killed in the assault and command of his division passed to the commander of his Texas Brigade, the French-born Brigadier General Camille de Polignac. As Polignac and Walker continued their attack, the Union resistance collapsed and soon deteriorated into a route with Confederate troops enveloping both flanks. Panicked troops poured to the rear along the already wagon-jammed road, abandoning their transports to the advancing Confederates. The timely arrival, however, of Brigadier General William H. Emory’s division some three miles to the rear of the initial battle saved Bank’s force from complete disaster. Shortly before dusk he expertly deployed his troops along Chapman Hill, a steep ridge fronted by an orchard known as Pleasant Grove. Despite repeated Confederate attacks, Emory held his position, thus protecting the remainder of the Federal train and the troops trapped by the narrow road. Taylor was convinced he won a decisive victory. The action had cost Banks 113 killed, 581 wounded, and 1,541 missing – a total of 2,235 men. In addition, the Confederates captured hundreds of small arms, twenty artillery pieces, nearly 1,000 draft animals, and 250 wagons. Taylor’s losses were also heavy – approximately 1,500 of his original 8,800 men. Yet the battle of Mansfield had shaken Banks and convinced him to terminate his invasion plans and return to Alexandria. 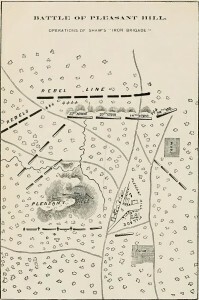 Although the Federals would win the battle the following day at Pleasant Hill, the Red River campaign had failed at Mansfield. As states which had seceded and become part of the Confederacy were militarily defeated, there followed a time of political reorganization in each. Those who held office were required to take an oath of loyalty to the Union or they were to be replaced. Louisiana passed their new state constitution on this date, little changed, but it abolished slavery. After the Federal troops captured Natchitoches, Louisiana during the Red River Campaign, military leaders were putting the plans together for the next 75 miles of river to Shreveport. However, with a low river, many of the transports and gunboats couldn’t make it further upriver. Brigadier General Charles P. Stone, acting as chief of staff for Major General Nathaniel P. Banks, advised Brigadier General A.J. Smith to select shallow draft boats for troop movements. Confederate Lieutenant General James Longstreet, who was detached from the Army of Northern Virginia and spent the last few months in Kentucky and North Georgia, was recalled to Virginia. Confederate cavalry continued to harass Major General Nathaniel Bank’s Federals as they approached Mansfield, Louisiana as part of the Red River Campaign. By a vote of 38 to 6, the U. S. Senate approved the 13th Amendment and sent it to the states for ratification. 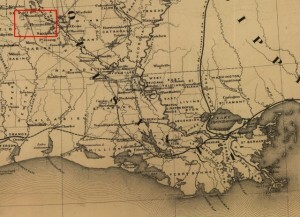 Confederate Major General Richard Taylor’s 14,000 troops from the District of West Louisiana and the Trans-Mississippi Department clashed with 12,000 Federals of the XIII and XIX Corps of Major General Nathaniel Banks’s Army of the Gulf at Mansfield, Louisiana at Sabine Crossroads. Even though the Confederates had the numerical advantage and launched several charged on the Union lines, they were repulsed by Brigadier General William H. Emory’s Federals just prior to nightfall. Confederates sustained an estimated 1,000-man loss, while the Federals had 113 killed, 581 wounded and 1,541 captured or missing, along with losses of 20 artillery pieces, 156 wagons and a thousand horses and mules that were killed or captured. More than half of the Federal casualties came from four regiments in the XIII Corps. Federal forces regrouped 16 miles away at the village of Pleasant Hill during the night, following the previous day’s battle at Sabine Crossroads. Both Confederate Major General Richard Taylor and Federal Major General Nathaniel P. Banks received reinforcements during the overnight period, each side having around 12,000 troops. Skirmishing began in the early afternoon, but the main Confederate attack didn’t begin until 5 p.m. The Federal defenders withstood several attacks over a two-hour period and slowly regained the advantage. Even though the battle was a tactical victory for the Federals, Banks withdrew his forces to Grand Ecore, Louisiana, effectively ending the campaign. The Federals lost 150 killed, 844 wounded and 375 missing for a total of 1,369. Confederate losses are estimated at 1,200 killed or wounded and 426 prisoners for a total of 1,626. The 32nd Iowa Volunteer Infantry, cut off from the rest of the Federals, suffered severe losses. Federal Major General Nathaniel P. Banks began withdrawing his troops from Pleasant Hill back to Grand Ecore, Louisiana, ending the Red River Campaign. Major General Frederick Steele’s troops departed Louisiana for Little Rock, Arkansas. Confederate Lieutenant General Kirby Smith took command of the Confederate forces around Pleasant Hill and ordered Lieutenant General Richard Taylor to withdraw his forces back to Mansfield, Louisiana. Admiral David Dixon Porter and his 17 ironclads and other supply ships steamed back up the Red River to rejoin Banks. The trip was halted a mile above Loggy Bayou, Louisiana, where local Confederates took the vessel New Falls City, and wedged it sideways across the stream. The perpetrators of the deed left a poster on the vessel’s mast inviting the Federals to attend a fancy ball in Shreveport. Porter admitted that he appreciated the humor. On the water, Admiral David Dixon Porter’s gunboats were subjected to small-arms and artillery fire from the banks of the Red River. This was hard to avoid as the water was getting very low, making maneuvering difficult. One of the bleakest and tragic moments in American military history occurred on the Mississippi River near Henning, Tennessee. Confederate Major General Nathan Bedford Forrest led an assault on the 600-man Federal garrison at Fort Pillow. Forrest had three horses shot from under him as the garrison was overrun in a series of assaults. As the Federal troops, most of them from two African-American regiments, surrendered, Forrest’s men massacred them in cold blood. The Confederate lost 14 killed and 86 wounded out of 2,500 engaged, while the Federal’s sustained losses of approximately 350 killed and mortally wounded, 60 wounded, 164 captured and missing for an aggregate total of 574 of the 600 engaged. A brief engagement occurred near Blair’s Landing in Red River Parish, Lousiana. Confederate Brigadier General Tom Green led his cavalry division on a raid at the landing where he discovered grounded and damaged Federal transports and gunboats. Green’s troops were met by Federal Brigadier General Thomas Kilby Smith’s XVII Corps provisional division and sailors from Admiral David Dixon Porter’s Mississippi River Squadron. Even though the Federals repulsed the attack, they sustained seven killed or wounded to the Confederates 200 aggregate losses. Green was among the killed when he was decapitated by a naval artillery shell. 1st Minnesota Volunteer Infantry – On duty at Fort Snelling prior to mustering out of Federal service on April 29, 1864. 2nd Minnesota Volunteer Infantry – On duty at Ringgold, Georgia until April 29, 1864. 3rd Minnesota Volunteer Infantry – On garrison duty in Little Rock, Arkansas until April 28, 1864. 4th Minnesota Volunteer Infantry – On duty in Huntsville, Alabama until June 22, 1864. 5th Minnesota Volunteer Infantry – On duty in Nathaniel Bank’s Red River Campaign and fought in the battle of Pleasant Hill. 6th Minnesota Volunteer Infantry – On duty at various Minnesota outposts for garrison duty until June 9, 1864. 7th Minnesota Volunteer Infantry – On duty in St. Louis, Missouri until April 20, 1864. 8th Minnesota Volunteer Infantry – On frontier duty at various points in Minnesota: Anoka, Princeton, Monticello, Kingston, Manannah, Paynesville, Fort Ripley, Sauk Center, Pomme de Terre, Alexandria and Fort Abercrombie until May 1864. 9th Minnesota Volunteer Infantry – Stationed at Rolla, Jefferson City, LaMine Bridge, Warrensburg, Independence, Knob Noster, Kansas City, Waynesville and Franklin with headquarters in Jefferson City until April 14, 1864. 10th Minnesota Volunteer Infantry – On garrison and provost duty at Benton Barracks, Missouri until April 21, 1864. 2nd Regiment Minnesota Cavalry – On duty at Fort Snelling and at frontier posts throughout Minnesota until May 24, 1864. Brackett’s Battalion of Minnesota Cavalry – On duty at Fort Snelling until May 1, 1864. Hatch’s Independent Battalion of Cavalry – Companies A, B, C and D on frontier duty in Pembina until May 5, 1864. 1st Minnesota Light Artillery Battery – Veterans were on furlough. Non-veteran members of the battery were en route from Vicksburg, Mississippi to Cairo, Illinois, where they were rejoined by furloughed members on April 17, 1864. 2nd Independent Battery Minnesota Light Artillery – Veterans were on furlough through June 5, 1864. Non-veterans attached to Battery I, 2nd Illinois Light Artillery and moved to Nashville, Tennessee, where they escorted cattle and horses to the army in the field until July 14, 1864. 3rd Independent Battery Minnesota Light Artillery – Various sections of the battery were stationed at Fort Snelling, Fort Ridgely, Fort Ripley and Pembina until June 5, 1864. 2nd United States Sharpshooters, Company A – On duty around the Rapidan River, Virginia until May 4, 1864. 1st Regiment Minnesota Cavalry “Mounted Rangers” – Formally mustered out of service on December 7, 1863. Inactive. Fighting occurred at Greenton, Missouri; along with Mount Elba and Big Creek, Arkansas. The Federals also captured a Confederate outpost at Cherry Grove, Virginia. Skirmishing at Natchitoches, Louisiana was the highlight of the day in Major General Nathaniel Banks’s Red River Campaign. Other action occurred at Arkadelphia, Arkansas; Palatka, Florida; the forks of the Beaver River in eastern Kentucky; and at Spring Island, South Carolina. Skirmishing broke out at Plymouth, North Carolina; and at Arkadelphia and Fitzhugh’s Woods near Augusta, Arkansas. The U.S. transport vessel Maple Leaf sank after hitting a torpedo or mine in the St. John’s River in Florida. Though there was no major fighting between the Union and Confederate forces at this time, the number of small skirmishes increased. Limited engagements now broke out at Cleveland, Tennessee; Grossetete Bayou and Crump’s Hill, Louisiana; Okolona, Antoine and Wolf Creek, Arkansas; Cedar Creek and Cow Ford Creek near Pensacola, Florida. The Confederates destroyed the lighthouse at Cape Lookout Light, North Carolina. Skirmishing on the Red River occurred at Grand Ecore, Louisiana, while more skirmishing occurred elsewhere at Cypress Swamp, Tennessee; Ducktown Road, Georgia; Clinton, Mississippi; Clarksville, Arkansas; Elkin’s Ferry on the Little Missouri River, in Missouri; and at Fort Gibson, Indian Territory. Major General Philip Sheridan succeeded Brigadier General David McM. Gregg as commander of the Army of the Potomac’s cavalry. Gregg was filling in for Major General Alfred Pleasonton, who was temporarily dispatched to Missouri. The U.S. House of Representatives passed a joint resolution saying that the nation would not permit the establishment of a monarchy in Mexico. This was intended to thwart the plans of France’s Napoleon III, who considered placing Maximilian of Hapsburg on the throne in Mexico. Several changes in Federal corps commanders helped set the stage for renewed operations now that the winter was ending. Skirmishing occurred at Charlestown and Roseville, Arkansas; and at Campti, Louisiana on the Red River. The New York Sanitary Commission Fair opened today. Eventually, it would raise $1.2 million to be used for the needs of the soldiers. The low levels of the Red River were hampering Federal Major General Nathaniel Banks’s expedition. Confederate forces, refusing to be engaged in quantity, fell away before the Federal troops arrived. However, Banks’s main force fought a small skirmish at Natchitoches, Louisiana. Elsewhere, skirmishing occurred at Marks’s Mills and Whiteley’s Mills, Arkansas; Quicksand Creek, Kentucky; Blount’s Creek, North Carolina; and in the swamps of the Little River near New Madrid, Missouri. 5th Minnesota Volunteer Infantry – On duty in Nathaniel Bank’s Red River Campaign and fought in the battles of Grand Ecore and Campi. 2nd Independent Battery Minnesota Light Artillery – On duty at Rossville, Georgia April 11, 1864 when the veteranized battery was on furlough. Federal columns moved south from Little Rock, Arkansas to join Major General Nathaniel Banks’s expedition up the Red River. If successful, the two-pronged advance would go far towards breaking up the Confederacy west of the Mississippi River. They engaged in a skirmish on the Benton road towards Camden, Arkansas. Lieutenant General Ulysses Grant returned to Washington after his conferences with Major General William T. Sherman and other generals in the Western Theatre, to prepare for a general advance of all Union armies. In the Army of the Potomac, Major General Gouverneur K. Warren assumed command of the Fifth corps from Major General George Sykes. In Washington, a number of “radical” Congressmen pushed for the removal of Major General George G. Meade as commander of the Army of the Potomac. Skirmishing took place at Goodrich’s Landing, Louisiana; Oil Trough Bottom, Arkansas, and Union City, Tennessee. President Abraham Lincoln and Lieutenant General Ulysses Grant conferred at the White House during the evening hours. Federal outposts at Paducah, Kentucky were driven in sharply as Confederate cavalry attacked the important Ohio River city. Although they occupied part of Paducah, two attacks were repulsed at Fort Anderson. Unable to destroy or capture the Federal garrison, the Confederates withdrew in the morning. Other fighting occurred at Rockport, Dover, White River and in Van Buren County, Arkansas; and McClellansville, South Carolina. Federal Brigadier General David Gregg superseded Major General Alfred Pleasonton as command of the cavalry in Virginia, while Pleasonton was dispatched to Missouri on a temporary basis. Lieutenant General Ulysses Grant was back in Virginia and established his permanent headquarters with the Army of the Potomac at Culpeper Court House. Major General James B. McPherson assumed command of the Army of the Tennessee under departmental commander Major General William T. Sherman. Skirmishes occurred near Black Jack Church, North Carolina; Quitman, Long View and Mount Elba, Arkansas. Confederate President Jefferson Davis argued with the governors of North and South Carolina over enforcement of policies of the Confederate States of America regarding trade along with troop procurement and allocation. President Abraham Lincoln explained that amnesty did not apply to prisoners of war, but only to those free and at large who voluntarily came forward and took an oath of allegiance. Skirmishing occurred at Livingston, Mississippi; Louisville, Tennessee; Columbus, Kentucky and at Deepwater Township, Missouri. About a hundred Copperheads (anti-war Democrats) vented long-pent-up feelings by attacking Federal soldiers on furlough in Charleston, Illinois. By the time the fighting ended by troop reinforcements, five men were killed and more than twenty wounded. It was one of the more severe anti-war outbreaks in the north. Skirmishing occurred on the Eel River, California; New Hope, Kentucky; Obey’s River, Tennessee; Bloomery Gap, West Virginia; along with Danville and Mount Elba, Arkansas. Scenes of battle this day were at Caperton’s Ferry, Alabama; Monett’s Ferry and Cloutierville, Louisiana on the Red River; Bolivar, Tennessee; Roseville, Long View and Arkadelphia, Arkansas. Union scouts moved from Lookout Valley to Deer Head Cove, Georgia; and from Bellefonte to Burrowsville, Arkansas. While criticisms of Federal Major General George G. Meade’s handling of the Gettysburg campaign had been appearing in the press, possibly written by other officers in the battle, President Abraham Lincoln dissuaded him from formally requesting a court of inquiry. 5th Minnesota Volunteer Infantry – On duty in Nathaniel Bank’s Red River Campaign. 1st Minnesota Light Artillery Battery – On duty at Vicksburg, Mississippi until April 4, 1864. 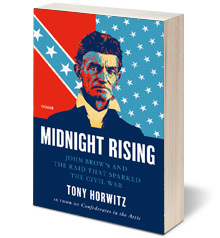 A version of this article appears in print on March 20, 2014, on page F24 of the New York edition with the headline: Making Do Without Civil War Battlefield. ST. PAUL — THE Civil War seems a long way from St. Paul: 1,100 miles to Manassas; 1,000 miles to Gettysburg. Even the nearest battlefields, in Missouri, are hundreds of miles away. So if you’re the Minnesota Historical Society, how do you give the ever-popular subject of the war a local twist in your offerings — particularly during the war’s 150th anniversary, which is being marked with museum exhibits around the country on almost every conceivable aspect? Danielle Dart, a public programs specialist with the society, which is based in St. Paul, came up with this idea: Instead of examining the brave deeds of Minnesotan soldiers during the war (already the focus of an exhibit in the spring of 2013), talk about what happened when they returned home. Last summer, “St. Paul After the Civil War,” led by Ms. Dart, joined a lineup of existing tours, or crawls, as the society calls them. While it might not be quite as popular as the pub and food crawls that allow participants to eat and drink their way through the history of the city, the Civil War tour was a success, and it will be offered again this summer. Using a 28-passenger, air-conditioned bus, with Ms. Dart narrating, the three-hour tour, which cost $45, including lunch, was a near sellout all six times it was offered. Minnesota became a state only in 1858 — three years before the war began. “This was our debut on the national stage,” Ms. Dart says. “Minnesota went big for Lincoln in 1860.” The state’s governor, Alexander Ramsey, was in Washington when Fort Sumter was fired upon. He immediately offered President Lincoln 1,000 volunteers — supposedly securing the state’s position as the first to officially offer a volunteer regiment to the Union cause, a point of pride to Minnesotans to this day. 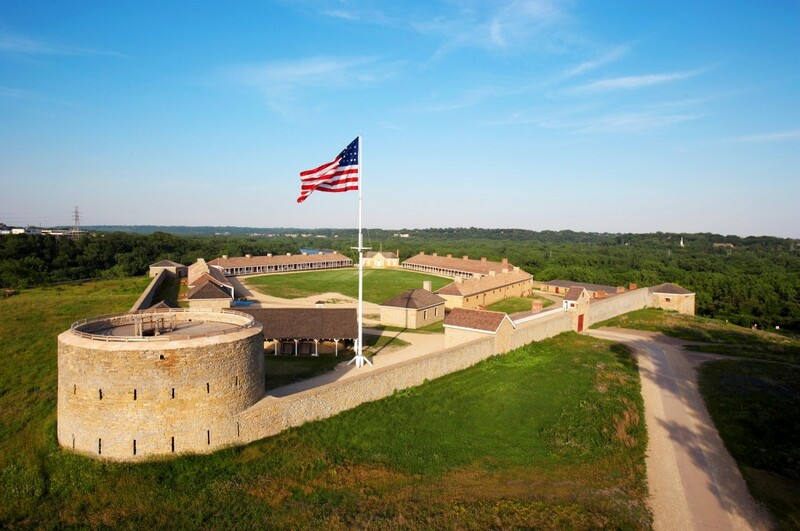 The starting point for the tour is Fort Snelling, built in 1819 on the banks of the Mississippi and now a historic site operated by the society. The fort is famous for its role in the Dakota War or Sioux Uprising of 1862, but it is also “the Civil War portal for Minnesota,” says Matt Cassady, a program specialist at Fort Snelling, who welcomed a reporter retracing the tour route with Ms. Dart last autumn. “For 25,000 of these men, this is where it started, and for those who survived, this is where it ended.” About 20,000 Minnesotans returned; 2,500 of them were grievously wounded, most with missing limbs. Most would amble up Fort Road, now West Seventh Street, which the tour takes back into the city. In 1865, St. Paul was barely 25 years old, and while the economy of the river town had boomed in the war, to most Americans it might as well have been a colony on the moon. While such overarching themes are interesting to ponder, they are hard to build a tour around. Ms. Dart instead decided she would focus on half a dozen men whose stories she researched in the society’s archives, on websites, in census records and in old city directories. We meet, for example, Albert Siebers, a 19-year-old teamster from Minneapolis. Seriously wounded at the Battle of Gettysburg, he returned to Minnesota for a year, then went off to become a cowboy in California. He died in 1907, at age 64, in an accident while part of a construction crew on the Roosevelt Dam in Arizona. “Some of these men were very peripatetic, very restless after the war,” Ms. Dart says. The tour arrives in St. Paul’s West End, one of the city’s oldest neighborhoods. Ms. Dart points out 262 Banfil Street, a blue, two-story Greek-revival house with a white front porch. This was once the home of Henning von Minden, a cavalry officer. Ms. Dart learned from her research that about 10 other German immigrants like Mr. von Minden lived within blocks of this house and volunteered for the Union army as well. As was common in other parts of the country, they very likely enlisted together in a surge of patriotism for their new country. Suddenly the Civil War doesn’t seem quite so remote. Not all of the men we meet are heroes. Ms. Dart pulls up in front of 256 Goodrich Avenue. The home is that of John Miner. A police officer after the war, he had registered for the draft in two neighboring states but never reported for duty. Other houses on the same block belonged to men who had served. “Imagine a veteran living next door to this guy who may have run away from the draft,” she said, adding that she saw the topic as a discussion point for future tours. Ms. Dart continues her tour through the nooks and crannies of old St. Paul, ticking off the names of soldiers who lived or worked here and there or whose names adorn street signs. There are 14 streets in St. Paul named after Civil War veterans. The tour includes Oakland Cemetery, where many of the veterans are buried, and the towering Civil War memorial, the Soldiers and Sailors Monument in St. Paul, erected in 1903. The tour ends at the Minnesota Veterans’ Home, originally called the Old Soldiers Home, in Minneapolis’s Minnehaha State Park — a government-funded precursor to the Department of Veterans Affairs hospitals of today — where some of the veterans ended their days. Summer tours include a picniclike lunch, with food from a local 1876 cookbook. “Luckily for tourgoers,” Ms. Dart says, “late-19th-century picnic foods are remarkably similar to our own. Chicken salad and egg salad sandwiches, fresh fruit and carrot cake.” But even here, Ms. Dart seeks to make the experience as vivid as possible, regardless of the lack of a battlefield. Tours will be offered this summer. Dates and information are at www.minnesotahistorycenter.org/crawls. Federal troops occupied Alexandria, Louisiana, a salient Red River town. Elsewhere, fighting broke out at Annandale and Bristoe Station, Virginia; Confederates raided the Nashville and Chattanooga Railroad near Tullahoma, Tennessee; and skirmishing broke out at Palatka, Florida and Santa Rosa, Texas. Major General Sterling Price took command of the Confederate District of Arkansas, succeeding Lieutenant General Theophilus Holmes. Fighting was confined to skirmishes as Manchester, Tennessee; near Blue Rock Station, California; and at Corpus Christi, Texas. Arkansas voters ratified a pro-Union constitution which ended slavery in the state. Federal Major General William T. Sherman officially assumed command of the Military Division of the Mississippi. Fighting occurred at Monticello and Spring Creek, Arkansas. The Georgia legislature expressed its confidence in Confederate President Jefferson Davis and resolved that the Confederate government should, after each victory, make an offer of peace to the North based on independence of the South and self-determination by the border states. Minor fighting occurred with action at the Eel River, California; Beersheba Springs, Tennessee; on the Cumberland River in Kentucky; at Laredo, Texas; and Black Bay, Arkansas. Skirmishing flared at Arkadelphia and Roseville Creek, Arkansas; while fighting occurred at Bayou Rapides, Louisiana on the Red River. The famed raider, C.S.S. Alabama, arrived at Cape Town, South Africa. President Abraham Lincoln approved an act of Congress enabling the territories of Nevada and Colorado to become states, despite their relatively small populations. Skirmishing continued at Reynoldsville, Tennessee; Moulton, Alabama; Velasco, Texas; and at Henderson’s Hill, Louisiana. Heavy snow fell in Richmond, Virginia. Federal Major General Lew Wallace superseded Brigadier General Henry H. Lockwood in command of the Middle Department with the headquarters in Baltimore. Fighting erupted at Bald Spring Canyon on Eel River, California; Langley’s Plantation in Issaquena County, Mississippi; Fancy Farms, Kentucky; Corpus Christi, Texas; and Winchester, Virginia. 5th Minnesota Volunteer Infantry – Took part in the battle at Henderson’s Hill, Louisiana as part of the Red River Campaign. 2nd Independent Battery Minnesota Light Artillery – On duty at Rossville, Georgia until March 21, 1864 when the battery was veteranized. The President of the United States, Abraham Lincoln, in the presence of his Cabinet, officially handed Ulysses S. Grant his commission as lieutenant general. In the brief White House ceremony, both Lincoln and Grant uttered perfunctory remarks. Grant then discussed in private, his plans for future operations, with the president. Lieutenant General Ulysses S. Grant was given the official authority to take command of the Armies of the United States, but the general himself had already left for Virginia to meet with Major General George G. Meade with the Army of the Potomac. The generals discussed the position, condition and future of the army, and worked out their relationship to each other. Grant expected himself to be in the field with his army commander. Federal Major General Franz Sigel superseded Brigadier General Benjamin F. Kelley in command of the Federal Department of West Virginia. Confederate raiders hit Clinton and Mayfield, Kentucky, while skirmishing broke out near Charles Town and Kabletown, West Virginia. Lieutenant General Ulysses S. Grant returned to Washington, then left in the evening to visit with Major General William T. Sherman, now slated to be the commander in the West. The official order setting up the new top command of the United States Armies was announced. Major General Halleck was relieved at his own request as General-in-Chief, and named chief of staff. Lieutenant General Ulysses Grant was assigned to command of all the armies. Major General William T. Sherman was assigned to the Military Division of the Mississippi, commanding the Departments of the Ohio, the Cumberland, the Tennessee, and the Arkansas. Major General J.B. McPherson replaced Sherman in command of the Department and Army of the Tennessee. Confederate President Jefferson Davis suspended the execution of a deserter. Skirmishing occurred at Cheek’s Cross Roads and Spring Hill, Tennessee; Carrollton, Arkansas; and Los Patricios, Texas. Federal Major General Nathaniel Banks’s army continued to make their way up the Red River into Louisiana. The advance of Major General Nathaniel Bank’s Red River expedition captured Fort De Russy near Simsport, Louisiana. 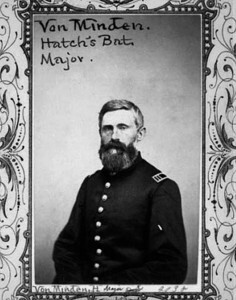 Brigadier General Andrew Jackson Smith, with his troops from Sherman’s old command, did the job with little difficulty. Skirmishing erupted at Bent Creek, Tennessee; Claysville, Alabama; Jones County, Mississippi; and Hopefield, Arkansas. Fort Sumter was hit by another bombardment, with 143 rounds fired by the Federals. President Abraham Lincoln issued a draft order for 200,000 men for the Navy and to provide “an adequate reserve force for all contingencies” in the entire military service. Louisiana Governor Michael Hahn was invested with powers previously held by the military governor of Louisiana as President Abraham Lincoln acted to reconstruct occupied areas of the South. The President also proclaimed that the United States should not “take charge of any church as such” in New Orleans. Federal gunboats on the Red River arrived at Alexandria, Louisiana, as the expedition of men and vessels proceeded up the most important Confederate-held river. A skirmish at Marksville Prairie on this date was part of that campaign. Skirmishing also occurred at Bull’s Gap and Flat Creek, Tennessee; and at Clarendon, Arkansas. 1st Minnesota Volunteer Infantry – On duty at Fort Snelling prior to mustering out of Federal service. 5th Minnesota Volunteer Infantry – Marched to Canton and then to Vicksburg, Mississippi as part of the Red River Campaign. 2nd Independent Battery Minnesota Light Artillery – On duty at Rossville, Georgia until March 21, 1864. The U.S. Senate confirmed the nomination of Ulysses Grant as lieutenant general. Federal Colonel Ulric Dahlgren led his cavalry into a Confederate ambush at Mantapike Hill between King and Queen Court House and King William’s Court House in Virginia. During the night, Dahlgren fell into the trap and was killed and over a hundred of his cavalrymen were captured. Having acted as a decoy during Kilpatrick’s raid, Brigadier General George A. Custer returned to Union lines from his own fairly successful raid in the Albemarle area of Virginia. Skirmishes occurred at Liverpool and Brownsville, Mississippi; Petersburg, West Virginia; at Jackson and near Baton Rouge, Louisiana. The Federal Treasury was authorized by Congress to issue $200 million in ten-year bonds. Major General Ulysses Grant was ordered to Washington to receive his commission as lieutenant general. The U.S. Senate confirmed Andrew Johnson as the Federal Military Governor of Tennessee. In New Orleans, the new pro-Union Louisiana government of Governor Michael Hahn took office. Admiral John A. Dahlgren called on President Abraham Lincoln to learn the fate of his son, Colonel Ulric Dahlgren, whose death near Richmond, Virginia was not yet known in Washington. The Confederate government ordered every vessel to give one half of its freight capacity to government shipments. This was an effort to cut down on private profit from blockade-running and to aid the government in obtaining badly needed supplies. Major General John C. Breckinridge assumed command of the Confederate Department of Western Virginia. Fighting centered at Leet’s Tanyard, Georgia, Panther Springs, Tennessee; and Yazoo City, Mississippi. A telegraph station and two small Federal steamers were seized in a daring raid by Confederates under Commodore John Taylor Wood at Cherrystone Point, Virginia. Federal forces, after being attacked the preceding day, pulled out of Yazoo City, Mississippi. Confederate torpedo boats failed in an attack on the U.S.S. Memphis in North Edisto River, South Carolina. Confederate raiders attacked Union pickets at Columbus, Kentucky and there was an affair near Island No. 10 on the Mississippi River near New Madrid, Missouri. Skirmishing also occurred at Flint Creek, Arkansas; and Snickersville, Virginia. Fighting was limited to skirmishes at Decatur, Alabama; and Brownsville, Mississippi. President Abraham Lincoln issued an order designating the starting point of the Union Pacific Railroad at Council Bluffs, Iowa, on the state’s western boundary with Nebraska. Lincoln also wrote to Congressman John A.J. Creswell of Maryland that while he had preferred gradual emancipation for slaves in Maryland, he had no objection to immediate emancipation. At the White House, a disheveled Major General Ulysses Grant met President Abraham Lincoln in the East Room amid cheering and handclapping. This was the first time they met. Both men appeared somewhat embarrassed and little was said. Confederate General Braxton Bragg was charged with the conduct of military operations in the Armies of the Confederacy, thus becoming in effect, chief-of-staff. Bragg, though still controversial, still enjoyed the trust of Confederate President Jefferson Davis, but his reputation had suffered from his defeat at Missionary Ridge and the constant conflicts with his generals. The U.S. Senate passed a measure to revive the rank of lieutenant general, with Major General Ulysses Grant being clearly in mind. President Abraham Lincoln approved an act of Congress to compensate every Union master whose slaves enlisted in the Army, with the sum not to exceed $300 and the volunteer was to become free. The act also increased bounties for volunteers, redefined quota credits, increased penalties for draft resistance, subjected Negroes to the draft, provided that those who opposed bearing arms for religious reasons should be assigned non-combatant tasks with freedmen or in hospitals, and gave the President authority to call for such men as required. Federal forces under Major General J.M. Palmer made their main effort at Buzzard Roost in the Demonstration on Dalton, Georgia. General Joseph E. Johnston’s Confederate positions proved too strong for the limited probing attack, and Palmer withdrew his forces to the main line of the Army of the Cumberland. Confederate Major General John C. Breckinridge was assigned to command the Trans-Allegheny Department or Western Department of Virginia, relieving Major General Samuel Jones. Federal Major General William T. Sherman’s troops skirmished near Canton, Mississippi as their withdrawal after the successful Meridian Campaign neared completion. A memorandum from President Abraham Lincoln confirmed his confidence in Major General Benjamin Butler and asked that the controversial general be sustained in his efforts. Lincoln also ordered that the death sentence of all deserters be commuted to imprisonment during the war, thus continuing his policy of leniency. The U.S. Senate completed passage of the bill that revived the rank of lieutenant general. Near the town of Americus, Georgia, Federal prisoners of war began arriving at an unfinished prison camp, officially Camp Sumter, but known to history as Andersonville. Insufficient food, shelter, clothing, and accommodations soon made the prison notorious. After preliminary planning in Washington, D.C., a 3,500-trooper strong Federal cavalry force under Brigadier General Judson Kilpatrick left the Rapidan River, intent on penetrating weakly held Richmond, Virginia and releasing Federal prisoners there. President Abraham Lincoln approved the congressional act reviving the grade of lieutenant general. It was clear that Congress and the President had Major General Ulysses S. Grant in mind for this promotion, the highest rank in the U.S. Army since George Washington’s time. Now retired, Winfield Scott was lieutenant general by brevet only. Both branches of the Federal cavalry raid on Richmond, Virginia were within a few miles of the Confederate capital. Wounded, veterans, office and factory workers, and home guards rallied to defend their city. Brigadier General Judson Kilpatrick approached with the larger Union force but decided against assault as the outer fortifications were too well manned. Kilpatrick turned east toward the Chickahominy River and the Peninsula. Colonel Ulric Dahlgren and his five hundred men coming from the west approached to within a little over two miles of Richmond by nightfall. Realizing that Kilpatrick had failed, Dahlgren withdrew in the dark, wet night. As expected, President Abraham Lincoln nominated Major General Ulysses S. Grant for the newly created rank of lieutenant general. 5th Minnesota Volunteer Infantry – At Black River Bridge, Mississippi, for duty during the Meridian Campaign. Brackett’s Battalion of Minnesota Cavalry – The veteranized battalion arrived in Minnesota from Alabama and was on duty at Fort Snelling. Hatch’s Independent Battalion of Cavalry – Companies A,B,C and D on frontier duty in Pembina until May 5, 1864.